Whether you are an established nonprofit or are just getting started, there are opportunities to assess, update, or add-on to your annual fundraising strategy. To help start the nonprofit strategic planning process, we’ve collected our top five interactive resources that will help guide your team during annual planning. Read more about each resource below and download the assets for you and your team to use. It’s not enough to ask your team, “How did we do this past year?” When it comes to creating an objective assessment, you need to dig deep and a SWOT analysis is the first step. 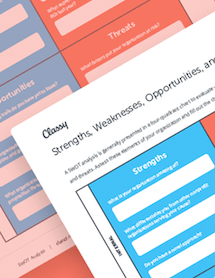 This SWOT Analysis worksheet includes nonprofit-specific prompts that encourage your team to take a step back and assess your organization’s true strengths, weakness, opportunities, and threats. 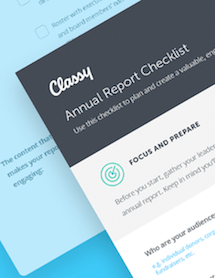 Do you want your supporters to look forward to reading your annual report? Then create an engaging piece of content that includes beneficiary stories and exciting milestones along with the requisite financial data and tax reports that demonstrate your impact. Check out these creative annual report examples, and then download the checklist to outline your goals, narrow down your data, and find out what you need to create a report that your constituents will enjoy reading. Planning an entire year’s worth of fundraising events, campaigns, and communications may sound daunting, but with the right tools and tactics, your calendar will be set before you know it. 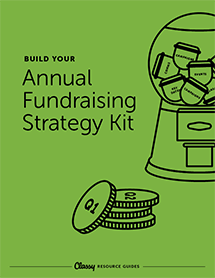 This annual fundraising strategy kit will teach you how to use our nonprofit SWOT analysis, how to align your goals and strategy to create an executive summary, and how to plan your fundraising calendar based on your programs, events, campaigns, and goals. Strategic planning for nonprofits can be tough and even established organizations face the common industry hurdles like employee turnover and insufficient funding. To help your team create a strategic plan that you can refer to year after year, download this calendar and learn how to segment your donors, outline your goals, and commit to an actionable plan to reach those goals. Sharing stories is a powerful way to demonstrate the need for your mission, the solution your organization provides, and the impact that a donation will have. This taps into a supporter’s emotions, which can help encourage them to make gifts to your nonprofit. 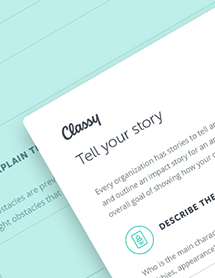 Learn how to tell a powerful story using this interactive worksheet containing prompts to help your team outline your story, develop your characters, explain the conflict, encourage action, and close with impact and resolution. 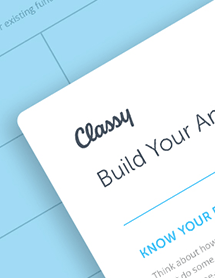 Now that you have the essentials, your team can start to assess, edit, and update your annual fundraising strategy. What other resources would you like us to create? Let us know in the comments below!